Tobi Lark, aka Tobi Legend, once sang, ‘Time is gonna pass you by, so quickly and it waits for no man‘. Not a theme exclusive to the songwriter, John Rhys, of course and, tangentially, it was serendipitous to learn Rhys was born in the sleepy Suffolk town of Saxmundham, a place a Sunday afternoon drive from my own adopted home, particularly given the sophistication and significance of the song. Rhys moved Stateside as a youngster and would become a distinguished music producer in Detroit and Los Angeles I discovered. Perhaps the influence of Michigan’s blue-collar ‘Motor-town’, historic home of the Ford motor company and Motown Records of course, as opposed to the coastal market town of his birth, explains the soul and beat in the tune and is why it resonated so deeply with a generation of British youngsters. The thumping cocktail of melancholy and triumph in the Northern Soul anthem embedded Rhys and Legend’s sentiment deep into the psyche of a receptive audience in the 1970s. Tracks like ‘Time is Gonna Pass You By’ entranced a communion of working class kids; coal miners, steel workers, bakers and candlestick makers, longing to escape Lowry skylines, and the drudgery of daily life to converge, via all-night pilgrimages, to clubs and dance halls across the North of England. The heavyweight picture has always been more of a long running melodrama than a feature film, a truth we sometimes ignore but a truth nevertheless. Great actors have graced the stage and there have been plotlines, rivalries and performances to enrapture us. A few of us remain loyal through the leaner periods when the script dries up and the leading men exit stage left. It is said that time feels increasingly fleeting with the passing of every year. A lament often aired during the Christmas frivolities, as the day itself ‘cannonballs’ in whilst our minds are still fresh from collecting spent rockets and eating the last of the Halloween Haribo. Certainly for those of us wrestling with middle life, the sticky toffee that holds the melange of children, grandparents and other assorted acquaintances together, the reflection brought on by year end arrives all too quickly. Add in an interest in the world of boxing, a niche within the Venn diagram of human existence once obscure and peripheral but now experiencing a population boom, and the pace is quickened still further. No weekend in the boxing fan’s diary is ever clear, perhaps save the one forthcoming, and the platforms and mediums for indulging their passion grows by the day. There is barely time to pause for breathe between a Spring time heavyweight showdown in a football stadium and a Featherweight dust up on the brink of New Year. But, just as the charity pleas that interrupt our Christmas viewing and draw us back from the excess of our indulgence and before we dare to complain, gratitude should be our only sentiment. So I’m gonna see how good you are when I count to five. I don’t ride on roller coasters. Never have. As a kid they terrified me, as most things of the unknown, the uncontrollable usually did. Now decades later, and as fully formed as I’m likely to become, crown exposed and eyes narrowing, the echo of that timid narrator remains as does the preference for control and for certainty. The actions of others, whether my daughter prowling the football fields of Suffolk or unwitting fighters from Feather to Heavyweight, afford me opportunity to marvel at those with the qualities I craved and in this vicarious voyeurism, experience the gnaw of uncertainty and danger without the risk. A boxing ring, the old truthsayer, humbles Fury on his return. I know things that are broken can be fixed. Take the punch if you have to, hit the canvas and then get up again. Life is worth it. Such is Tyson Fury’s unique predisposition for the sublime and the absurd, frequently embracing both within the same interview and occasionally a single sentence, we the onlookers, with our garlands of good will and ‘fag-packet psychology, shouldn’t be surprised that even in the confines of the pre-ordained he continued to defy convention. Where speed was expected, sluggishness was found, where elusiveness was predicted, vulnerability was evident and where power was anticipated, delivery was flawed. 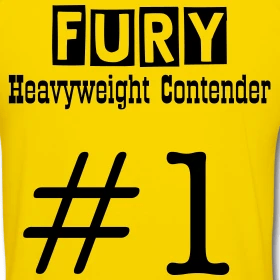 In preview, I’d mooted a scenario in which Tyson Fury could find simply climbing from the well of despair in to which he’d fallen, following his seminal victory over Wladimir Klitschko in November 2015, back to ground zero, back to a debut, essentially, against an overmatched Cruiserweight – which is where it all began a decade ago – could prove sufficient triumph. There was evidence enough in his return bout to suggest, however unlikely, that the possibility remains. Elephant in the room. Tyson Fury returns. Throughout Anthony Joshua emergence over the past three years; in every pre-fight press conference, in every post fight interview, the chill of Tyson Fury’s often ethereal presence has persisted. Unspoken, particularly in the period in which the Mancunian candidate seemed emotionally furthest from a return, the legend of the enigmatic Gypsy King has grown exponentially and offered silent sentry to the conflicting rhythms of hoopla and humility being sold in his absence. Like Joshua, I spent Saturday playing a role distinct from my usual casting; Joshua won largely favourable reviews for his portrayal of a cautious, pedestrian boxer loathed to engage whilst I stood against a post in the pub, nursing an almost empty pint glass, nervous at the prospect of committing to the queue between rounds. Neither of us, I suspect, gleaned the same satisfaction or contentment we would have from playing to type. He as the emotional, knockout artist and me as the thoughtful wannabe. Though both proved prudent, these temporary alter-egos, it will be a temporary diversion for me at least, though the experience did provide several valuable and salutary lessons. I learnt much about Joshua and the perspective of those who do not need to contemplate the impact of sharing their opinions too. Certainly not in the way I do when committing them to the world beyond the pub door, however small the readership. Joshua undoubtedly learned much from his 21st professional success too; notably the power of patience, discipline and employing a degree of pragmatism. Coincidently, a stark juxtaposition of my experience with the impatience, ill-discipline and blood lust of an evening as a ‘casual’. Those who followed boxing in its formative, freewheeling and unregulated years were afforded the collective sobriquet ‘The Fancy’, a title bestowed by Pierce Egan in his seminal studies of the noble art; Boxiana, published in the early part of the 19th century. Despite its evolution over the ensuing century or two, boxing remains more closely preserved to its original form than modern reportage would encourage you to believe. A sprawling metropolis of hope and deceit, today as ever it was then, the sport still attracts interest across the social spectrum irrespective of demographics or political persuasion. The new ‘Fancy’ enjoy the reverie as much as their forebears and for those who attempted to secure a taxi following Anthony Joshua’s last bout in Cardiff there will be a kinship for the travails of earlier followers who traipsed across ploughed fields to find secretive venues in the morning mist. Unification? What? Simplification? Please. Joshua v Parker is a good fight. A good fight is a good fight. Nobody cared for what prize Ward and Gatti battled nor did they fuss that Benn and Eubank contested lightly regarded belts or that they were technically inferior to contemporaries James Toney, Roy Jones Jnr. and Michael Nunn. The equality of fighters make fights great, fighters make belts important. Belts do not a great fighter or fight make. To laud a unification is also to contradict our greater aspiration for a single champion in each of the 17 weight classes. But, we don’t live in that unreachable nirvana. Nobody appears to have visited the mythical Republic of Boxing Utopia where such clarity is natural and if they have, they’ve not sent so much as a postcard, although Marcus Maidana’s Instagram account suggests he may be living nearby, and we must, therefore, respond to the boxing landscape as we find it. When the World Boxing Organisation’s champion, Joseph Parker, strides across the ring to tackle Anthony Joshua, recognised by the International Boxing Federation and World Boxing Association as their champion, it will be important. Greatness is a product of many things, without a degree of innate talent the journey to such status is hard to even begin. It is a status that requires resistance, friction. Without a compilation of experiences that burnish and test the qualities of those who chase it, the talent beneath remains undiscovered or unresolved; an intangible or immeasurable ore. The 5 biggest fights of 2018? Only the most faithful narcissist could conjure reasons why the current buoyancy of the sport, particularly in Europe, is not unprecedented and, seemingly, irresistible. These mole-eyed killjoys are often compelled to remind the frothy new members of the ‘Fancy’ that stadium fights are not a 21st century invention. Further, they point to different periods of the 18th and 19th century when champions of the prize ring were feted and known around the globe long before their image and actions could be bounced from a satellite or appear in miniature and unfathomable immediacy in your hand. Can Wilder really beat Joshua? 2017 already feels like a watershed year in the world of boxing, and with discussions underway to conjure further big fights in the New Year, 2018 may yet surpass even the high points of the past twelve months. The best are beginning to realise the commercial benefit of fighting each other; from flyweight to the new generation of giants contesting belts in boxing’s blue riband weight class, the heavyweights.